The major objective of the National Plan of Action (NPA) is to reach or maintain a favourable conservation status for a species. 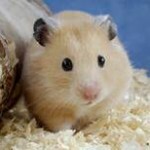 Presently, the European hamster is still classed as unfavourable-bad (U2) by Europe, which means it is in serious dangerous of becoming extinct in France. This will thus be the focus of a next NPA spreading over 10 years, from 2019-2018. This new plan in favour of the European hamster is fuelled by work previously undertaken within the framework of the recently-finished NPA, along with lessons learned from the LIFE Alister programme. Interview with Eric Thouvenot, Project leader for protected species – mammal specialist at the DREAL* Grand Est, NPA animator and coordinator. To build this new plan, all the players of the LIFE Alister were invited by the DREAL Grand Est. 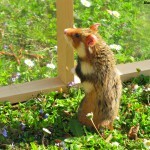 The aim of the NPA is to reach a population of 1500 European hamsters in a scope of 600 hectares. The results obtained by the LIFE (innovative crops, covers …) could be implemented on a larger scale than this plot, such as the region for example. When protecting a species, the use of living space must be considered. The new NPA is having a wide range of partners work together, hence associating all the regional players concerned by the European hamster. Besides the pursuit of actions already-undertaken (breeding, population reinforcement, knowledge of the species-specific biology, awareness …) they will think about how this area is used by the various players: what are the uses in terms of urbanisation, farming practices; how can the European hamster habitat protection be improved, by focusing more on the region and not just on plots? path 5: make this species and its protection challenges be better known. The operational players of LIFE Alister (Alsace Chamber of Agriculture, the French National Scientific Research Centre (CNRS), the French National Hunting and Wildlife Agency (ONCFS), and the Alsace Mammal Protection Work Group (GEPMA) are the main action and path-deciders of this new NPA. 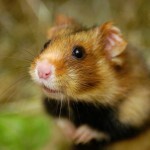 The LIFE also established the importance of considering all the biodiversity in the European hamster protection work. Innovative crops have revealed their impact on soil biology (counting worms, presence of springtails), and on the presence of other species such as the Eurasian skylark. 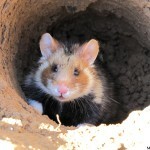 The action-plan measures proposed should make habitats more favourable for the European hamster but also, on a larger scale, for all species restricted to the farming environment on the Alsace plain. 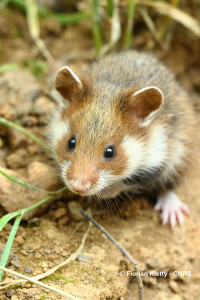 NPA is widening its scope this time by being less “hamster-centred” and more attentive to the role of the European hamster umbrella species as well as all the biodiversity on the Alsace plain. Last February, the LIFE Alister organised a workshop in Brussels, with the testimony of other LIFE programmes and additional conservation programmes, like Agrifaune. The consensus is very clear meaning that species conservation can only succeed through multi-partnerships. The present NPA partners want to promote a European hamster conservation programme, since the species-specific challenges are identical on both the east and west side of the Rhine and therefore building similar actions with other European countries. The problems may sometimes vary but the solutions for conserving the habitat throughout the entire animal reproduction cycle can be transposed. For the species to survive, it’s essential to work towards more favourable habitats for them to promote a survival and reproduction strategy. Plant cover : good for fauna…and goods for farmers!